Manchester is one of the greatest cities in the United Kingdom and is fast becoming the most popular place to visit outside of the capital. 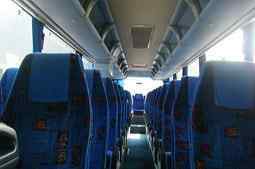 Here at Coach Hire Manchester we understand that such a busy metropolis is not always the easiest to navigate in private cars particularly if you are not familiar with our fabulous, but sometimes frustrating for the driver, pedestrian areas. The city is well served by public transport and we believe we complement the many planes, trains and buses by providing a bespoke service. 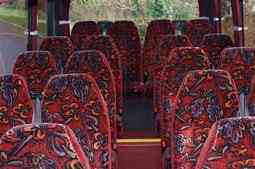 visit Coach Hire Manchester to find out more about our company and our services. 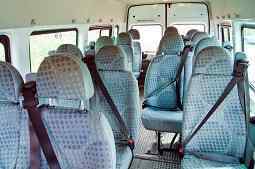 Our huge range of minibus hire in Manchester can cater for all sizes of groups and for any events. Whether you are local or a visitor why not check out some of the great attractions the city has to offer? Take the family to Knowsley Safari Park or to Chill Factore or maybe spend some time at the Bolton Steam Musuem that has the largest collection of working mill steam engines in the UK. If sport is your thing then you really are spoilt for choice. Manchester hosts not one, but two, Premier League football clubs. Less than five physical miles apart but a million miles away as far as their passionate supporters are concerned you will see superb soccer at the iconic home of Manchester United, Old Trafford. Across the city and originally built to host the 2002 Commonwealth Games the Etihad Stadium is where Manchester City play their home games. Played with odd shaped balls both Rugby Union and Rugby League are represented by top quality teams; Sale Sharks, (Union) and Salford Red Devils, (League). Wherever, whenever the fixture and we will ensure you are there in plenty of time for the kick off. This fabulous city has some of the best and most diverse entertainment on offer. Every taste is catered for from the world renowned Hallé Orchestra, resident at the Bridgewater Hall, to the more eclectic cabaret at The Birdcage. All music genres can be heard at the fifty plus nightclubs across the city and virtually every type of cuisine can be sampled from Brazilian to Malaysian with many stop offs in between! Planning your hen party or stag night in Manchester? Hire one of our minibuses to take you to and from your venue(s). Perhaps you’re starting your evening off with a meal out at one of more than 800 eateries and maybe going on to cocktails and the casino before heading to your favourite nightclub. Whatever your plans Manchester Coach Hire will get you to where you want to be and home again when you are partied out! Are you the event organiser for your group? Whether you are planning a day trip to ‘Coronation Street’ or a longer break to the Peak District or Yorkshire Dales we can accommodate your transport needs. With luxury vehicles and professional drivers we will convey your group in comfort to your destination. We can advise you on the best choice of minibus or coach taking in to account the length of your journey, duration of your trip, number of passengers and luggage requirements. We also specialise in airport transfers anywhere in the country including London Heathrow, London Gatwick and Birmingham. Let us take you to the airport ensuring you arrive in plenty of time to check in for your flight. We will drop you as near to the departure terminal as possible so you don’t have to worry about finding your car park or the shuttle bus. Don’t have that frantic search for your car park ticket when you get back, just clear baggage claim and our driver will be waiting for you in arrivals, ready to drop you back at your front door. Our luxury fleet of vehicles is also equipped to cater for any corporate event either locally or further afield. We can arrange pick up at a location to suit you and transport your company delegates to your conference or meeting in plenty of time leaving you unhurried and ready to do business. If you have a special celebration why not travel as a group and get the party started as soon as you leave home. Our drivers know how to look after people and we take pride in getting people to the right place at the right time. If you are planning your wedding let us take care of your guests’ travel arrangements so that everyone is there to see the happy couple wed.
Manchester is a great place to be; let us make your visit great.